Houston Grand Opera Logo. Image available on the Internet and included in accordance with Title 17 U.S.C. Section 107. Houston Grand Opera founding general director and conductor Walter Herbert with Elva Lobit. Courtesy Houston Grand Opera. HOUSTON GRAND OPERA. The Houston Grand Opera Association [HGO] was incorporated in August 1955 as Houston's first permanent opera company. Its general director and conductor was Walter Herbert, a native of Germany, who had been instrumental in founding the New Orleans Opera in 1943. With the support of Edward Bing, a local opera singer and teacher, Mrs. Louis G. Lobit, and Charles Cockrell Jr., the opera was chartered by the Texas secretary of state with a board of directors, general manager, and conductor. The first performances of the new company, in January 1956, were productions of Richard Strauss’s Salome and Puccini’s Madame Butterfly, staged in the Music Hall. Walter Herbert remained general director of the company through the 1971–72 season and made substantial contributions. Although he labored under severe financial limitations, he gave Houston good, occasionally superb, opera. Owing to the tastes of the Houston audiences, Herbert’s repertoire remained conservative, although he did occasionally present more adventurous operas such as Hans Werner Henze’s Young Lord. Herbert also brought black artists to Houston to assume leading roles. In 1969–70, Herbert became full-time artistic director and conductor of the San Diego Opera but continued his work at HGO, sharing his Houston duties with his assistant, Charles Rosekrans. During Herbert’s years, Houston Grand Opera encountered considerable financial difficulties. David Gockley, former director of HGO. Image available on the Internet and included in accordance with Title 17 U.S.C. Section 107. Gradually, however, financial stability improved, coinciding with the work of David Gockley, who was hired in 1970 as business manager and promoted in 1972 to general director of the company. Due to Gockley’s imaginative leadership, the growing sophistication of opera audiences, and booming financial support for the arts due to Houston’s emergence as a petroleum center, Houston Grand Opera rose to national and international prominence. By 1981 the company operated on an extremely sound financial basis. Its success was aided by gifts from corporations such as Armco Steel, Atlantic Richfield, Shell, and United Energy Resources. Dating from the beginning of his association with the Houston company, Gockley showed a total commitment to opera—but opera as broadly defined. He aimed to present different kinds of opera to a diversified audience, in his own words combating “the image of opera as a medium for only the wealthy and elite.” Under his direction the company expanded its repertoire to include less familiar works ranging from the Baroque era to the twentieth century. Under Gockley’s leadership, the company began regularly commissioning and producing new works—almost exclusively from American composers—and the company continues to build on this reputation. As of the end of 2016, HGO had commissioned and presented sixty-two world premieres. HGO had also presented seven American premieres. During the opera’s 2004–05 season, its fiftieth anniversary season, David Gockley resigned as director after thirty-three years with the company. Anthony Freud became the opera’s third director and its first chief executive officer. Under Freud’s direction, HGO initiated HGOco, a broad initiative to partner with educational and community organizations to provide a variety of artistic experiences to the greater Houston area and the Gulf Coast region. HGOco’s first project, the ongoing Song of Houston initiative, created new musical works that tell the stories of people and groups in Houston. HGO was honored with the prestigious Leading Lights Diversity Award from the National Multi-Cultural Institute in 2009 for its Song of Houston program. Patrick Summers, left, and Perryn Leech. Photograph courtesy of Eric Melear. Image available on the Internet and included in accordance with Title 17 U.S.C. Section 107. Freud left HGO to take the position of general director of Lyric Opera of Chicago in 2011. 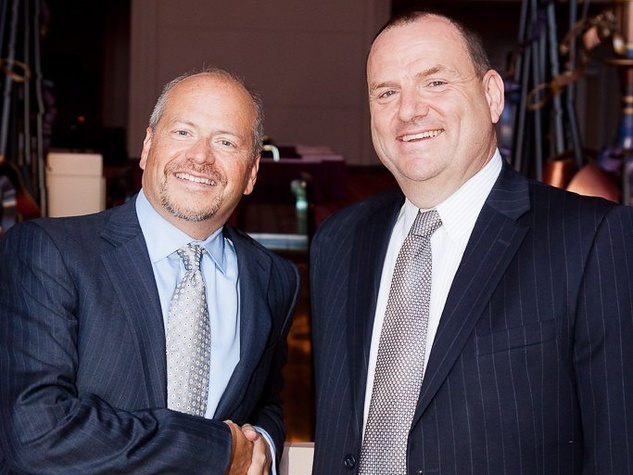 The company was subsequently led jointly by Patrick Summers, who came to HGO in 1998 as music director and took over as the artistic and music director on May 25, 2011, and Perryn Leech, previously the technical director and then the chief operations officer, who was named managing director. As of 2017 Summers and Leech still served in their respective positions. A board of directors provides oversight for HGO and a body of trustees supports the organization as well. 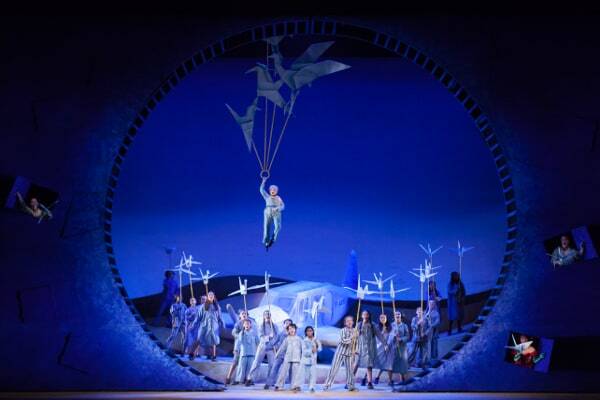 Houston Grand Opera's Performance of The Little Prince, 2015, starring Andy Jones. Photograph courtesy of Lynn Lane. Image available on the Internet and included in accordance with Title 17 U.S.C. Section 107. HGO has commissioned new works from such composers as Mark Adamo, John Adams, Leonard Bernstein, Daniel Catán, Carlisle Floyd, Philip Glass, Ricky Ian Gordon, Jake Heggie, Tod Machover, André Previn, and Christopher Theofanidis. Some of the most frequently performed works that originated as HGO commissions are John Adams’s Nixon in China (1987), Catán’s Florencia en el Amazonas (1996), Mark Adamo’s Little Women (1998), Carlisle Floyd’s Cold Sassy Tree (2000), Jake Heggie’s Three Decembers (premiered in 2008 as Last Acts), and Rachel Portman’s The Little Prince (2003). In 2010 HGO commissioned and premiered the world’s first “mariachi opera” composed by the late José “Pepe” Martínez, the longtime music director of the ensemble Mariachi Vargas de Tecalitlán, with a libretto by Leonard Foglia. This work, titled Cruzar la Cara de la Luna/To Cross the Face of the Moon, has been performed at Théâtre du Châtelet in Paris and several opera companies in the United States. 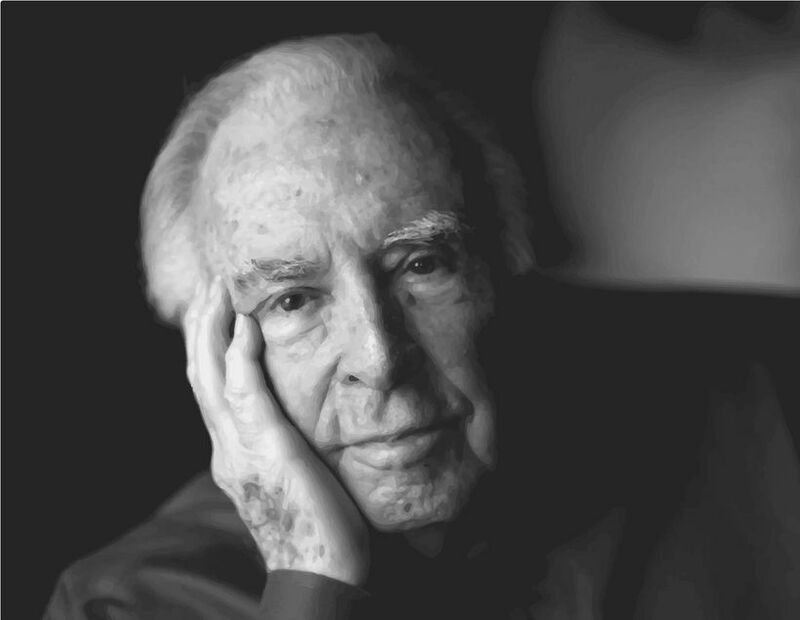 Carlisle Floyd, composer. Courtesy of Huffington Post. Image available on the Internet and included in accordance with Title 17 U.S.C. Section 107. The relationship between HGO and composer Carlisle Floyd has been the longest ongoing relationship of any composer with an organization. HGO has commissioned five works from Floyd, including Bilby’s Doll (1976), Willie Stark (1981), The Passion of Jonathan Wade (new version, 1991), Cold Sassy Tree (2000), and Prince of Players (2016). Floyd lived in Houston for some twenty years after relocating in 1976 from Tallahassee, Florida, to accept the M. D. Anderson Professorship at the University of Houston School of Music (now the Moores School of Music). In 1977 he cofounded the Houston Grand Opera Studio, HGO’s young artist training program, which was initially a joint program between HGO and the University of Houston, and he was an active participant in training studio artists. Houston Grand Opera's Performance of Passenger in 2014, starring Michelle Breedt. Courtesy of the Houston Chronicle. Image available on the Internet and included in accordance with Title 17 U.S.C. Section 107. Among the American premieres HGO has presented, the most significant are the first staged version of Handel’s Rinaldo in 1975 (a concert version had been given in 1972 by the Handel Society of New York), starring Marilyn Horne in the title role and Samuel Ramey as Argante; Rossini’s La donna del lago in a new critical edition in 1981; and Weinberg’s The Passenger, a long-suppressed Holocaust opera composed in 1968 and performed by HGO in 2014. In addition to presenting the American premiere in Houston, HGO was also invited to bring the production to the Park Avenue Armory as part of the 2014 Lincoln Center Festival. Houston Grand Opera's Performance of Porgy and Bess in 1976, starring Clamma dale and Donnie Ray Albert. Image available on the Internet and included in accordance with Title 17 U.S.C. Section 107. In addition to presenting world and American premieres, HGO has played a role in bringing certain works to the attention of the opera world. HGO’s “triumphant” production of the Gershwins’ Porgy and Bess in 1976 was pivotal in establishing that the work was indeed an opera. 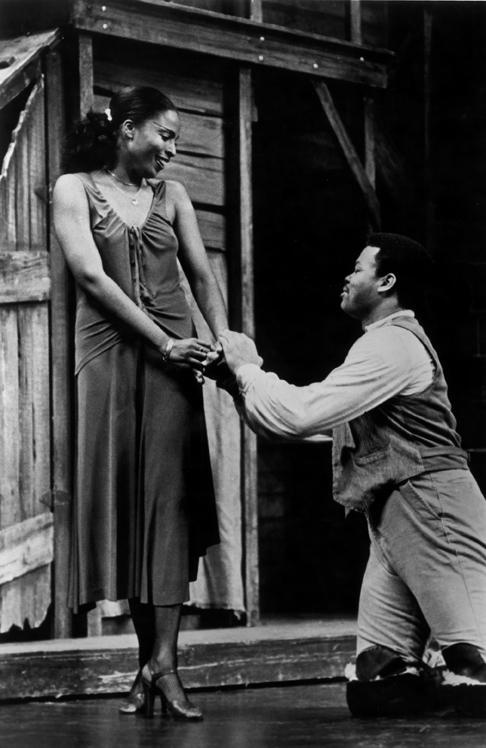 After the Houston premiere, the production, featuring Donnie Ray Albert as Porgy and Clamma Dale as Bess and conducted by John DeMain, toured to Broadway and won a 1977 Tony Award for Most Innovative Production of a Revival. The complete recording won the 1977 Grammy Award for Best Opera Recording. Scott Joplin’s “ragtime opera” Treemonisha received its first fully-staged performances at Houston Grand Opera in 1976 with a score HGO commissioned from ragtime expert Gunther Schuller. Treemonisha also toured to Broadway and was recorded. The Wortham Theater Center in downtown Houston has been home to Houston Grand Opera since 1987. Image available on the Internet and included in accordance with Title 17 U.S.C. Section 107. Houston Grand Opera was among the first opera companies to implement a season-long, comprehensive young artist training program (1977), adopt the use of supertitles (1984), provide descriptive services for those with vision loss (1987), and establish an archive (1989). After 1966 the Houston Grand Opera performed in Jesse H. Jones Hall for the Performing Arts. By 1981 money had been raised for a new facility. The Wortham Theater Center opened in 1987 at a cost of $72 million and underwent renovations in 2005. The Wortham Center is one of only a few theaters constructed in the United States after World War II with the specific needs of opera in mind. Houston Grand Opera has toured Europe and Asia and has won two Grammy awards, two Emmy awards, and a Tony. As of the end of 2016 it was the only opera company to win all three honors. Robert I. Giesberg, Houston Grand Opera: A History (Houston: Grand Opera Guild, 1981). Robert I. Giesberg, Carl Cunningham, and Alan Rich, Houston Grand Opera at Fifty (Houston: Herring Press, 2005). Thomas Holliday, Falling Up: The Days and Nights of Carlisle Floyd (Syracuse, New York: Syracuse University Press, 2013). Houston Grand Opera (https://www.houstongrandopera.org/), accessed February 22, 2017. New York Times, November 12, 2007. Opera Pulse, September 20, 2010. “Porgy and Bess, the first great American opera, premieres on Broadway,” THIS DAY IN HISTORY (http://www.history.com/this-day-in-history/porgy-and-bess-the-first-great-american-opera-premieres-on-broadway), accessed February 22, 2017. Handbook of Texas Online, Robert I. Giesberg, rev. 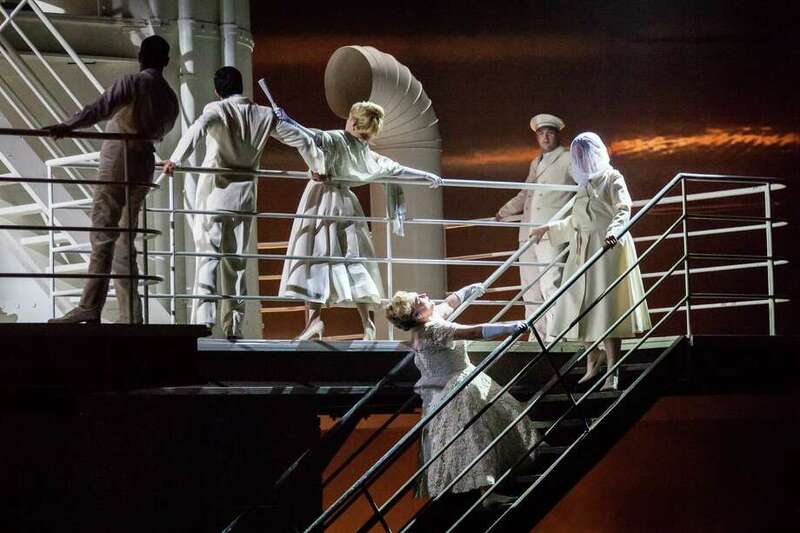 by Laura Chandler, "HOUSTON GRAND OPERA," accessed April 23, 2019, http://www.tshaonline.org/handbook/online/articles/xgh02.